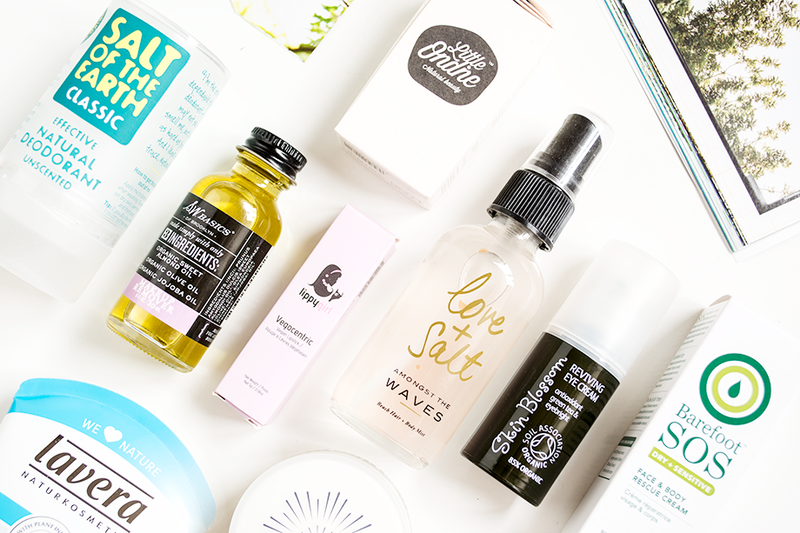 This little corner of the internet turns three today and as always I'm celebrating with a green beauty giveaway to thank you guys for sticking around to read this blog, even when life gets in the way and posts are sporadic! It's crazy to think that 3 whole years have passed since I first pressed publish, although in some ways it feels like much longer! For this giveaway I've put together a selection of luxury minis, including S.W. Basics Makeup Remover, Olivine Love + Salt Beach Hair & Body Mist (reviewed here), Barefoot SOS Face & Body Rescue Cream and Oskia Bedtime Beauty Boost, along with full sized Skin Blossom Reviving Eye Cream, Lavera Exotic Body Lotion, Crystal Spring Salt of the Earth, Lippy Girl Vegocentric "Ski Bunny" Lipstick and Little Ondine "Chai Latte" Nail Colour (reviewed here), worth over £90 in total for one of you to enjoy!